Crescent Leather Products Limited was established back in 1977. CLPL is a Bangladesh based, fast growing, well equipped tannery with wide range of cow, goat and buffalo crust/finished leather. Our business is, and always has been, dynamic and diversified. And our products are of the best quality available. It is an emerging leather goods manufacturer and exporter from Bangladesh, under the brand “Nodi”. They also offer modular range of services precisely tailored to the needs of each if our clients, emphasizing on the management of their brands. Services include product development and design, merchandising follow-up, quality control and shipping coordination. They are people of the fashion world. Their in-house design team is constantly coming up with new and innovative leather fashion designs which not only keep up with the latest trends, but also create new ones. They have spent our entire time in the leather fashion technology. Their experience is broad and our understanding of existing leather fashion trend is profound. Their number one priority is commitment to satisfy our customers’ needs, and we relish the challenges that initially arise in a typically fast moving leather fashion world. They produce raw hides to finished leather to finished products. Our main source of quality finished leather is Crescent Tanneries Ltd. They care for value for money, striving for technological development and research for quality product and better packaging. Leather Industry developed in Bangladesh on a large-scale basis from the 1970s. About 95% of leather and leather products of Bangladesh are marketed abroad, mostly in the form of crushed leather, finished leather, leather garments, and footwear. Most leather and leather goods go to Germany, Italy, France, Netherlands, Spain, Russia, Brazil, Japan, China, Singapore and Taiwan. Value addition in these exports averages 85% local and 15% foreign. About 100 modern tannery units are now in operation in the industry. These are located mostly in the Hazaribagh area of Dhaka city. In 1998, the sector exported 178 million sq ft of leather and earned $160 million. The country’s share in the world leather market is 2%. The export of finished products such as shoes, slippers, leather jackets, hand gloves, bags, purses, wallets, and belts also earn a sizeable amount of foreign exchange. Bangladesh intends to increase its range of leather products to penetrate new market segments. The country is endowed with luxurious vegetation encouraging a large livestock population. The quality of the raw hide and skin is relatively good, as barbed wire fencing that damage the skins of animals is not used in the natural farms and fields. Black goatskin of kushtia is particularly noted for its fine grain structure and tensile strength. The tradition of humane care of domestic animals also contributes significantly to keeping the leather quality high. About 40% of the supply of hide and skin comes from animals slaughtered during the annual Muslim festival of Eid-ul-Azha. In addition to daily consumption of meat, festivals, Muslim weddings, and other celebrations yield a substantial supply of hide and skin. The tanning industry got a big boost following the government decision to promote more value addition in exports. The installed capacity for crust leather production increased. At present, it is double the domestic supply of raw hide and skin. Investments are also good. They started their business in 2005. They wanted to start a new business with leather products. They use different technology of leather fashion to do this business. From 2005 they don’t have any local buyer. They always do business with outsiders and export their product to the outsider. “Marketing activities of Crescent Leather Product Limited” is the topic of this report. Crescent leather products limited company produce leather footwear and hand wear and then they export their products to different company of Italy, Japan, and Hong Kong etc. Crescent tannery, an associate company, provides access to leather. Also can source any type finished leather. Cow, goat or sheep any other sources both local and imported freely and without any import duties. Bangladesh has 2% of global livestock population and a very big leather export business. Crescent tanneries limited were established in 1977, it is a Bangladesh based, fast growing, well equipped tannery with wide range of cow, goat and buffalo crust/finished leather. Their business is, and always has been, dynamic and diversified. And our products are of the best quality available. Their mission statement: we promise on time delivery, best quality and competitive prices to our customers because of our high business ethics and commitment to excellence has emerged as a leader in the leather industry in Bangladesh. In their view, they must be strictly professional in conducting. Their business also means striving to set the highest standard in regard to the welfare of our employees and that of the community. Our world is one of measured strategic management and a consistent desire to fulfill our customers’ needs of exceptional levels of quality leather. They hope that this site will be helpful to our valued customers and also promote our products to new markets. It is an emerging leather goods manufacturer and exporter from Bangladesh, under the brand “Nodi”. We also offer modular range of services precisely tailored to the needs of each if our clients, emphasizing on the management of their brands. Services include product development and design, merchandising follow-up, quality control and shipping coordination. We are people of the fashion world. Our in-house design team is constantly coming up with new and innovative leather fashion designs which not only keep up with the latest trends, but also create new ones. We have spent our entire time in the leather fashion technology. Our experience is broad and our understanding of existing leather fashion trend is profound. It is an emerging leather goods manufacturer and exporter from Bangladesh, under the brand “Nodi”. They also offer modular range of services precisely tailored to the needs of each if our clients, emphasizing on the management of their brands. Services include product development and design, merchandising follow-up, quality control and shipping coordination. They are people of the fashion world. Their in-house design team is constantly coming up with new and innovative leather fashion designs which not only keep up with the latest trends, but also create new ones. They have spent our entire time in the leather fashion technology. Their experience is broad and our understanding of existing leather fashion trend is profound. Their number one priority is commitment to satisfy our customers’ needs, and we relish the challenges that initially arise in a typically fast moving leather fashion world. They produce raw hides to finished leather to finished products. Our main source of quality finished leather is Crescent Tanneries Ltd. They care for value for money, striving for technological development and research for quality product and better packaging. That is why Crescent-Nodi has based its production and marketing philosophy on four basic principles – quality, stability, efficiency and on time delivery. Established in 1977, CLPL is a Bangladesh based, fast growing, well equipped tannery with wide range of cow, goat and buffalo crust/finished leather. Our business is, and always has been, dynamic and diversified. And our products are of the best quality available. Their mission statement: we promise on time delivery, best quality and competitive prices to our customers because of our high business ethics and commitment to excellence, CLPL has emerged as a leader in the leather industry in Bangladesh. In our view, being strictly professional in conducting is our business, also means striving to set the highest standard in regard to the welfare of the community and that of our employee also for better operation. Our world is one of measured strategic management and a consistent desire to fulfill our customers’ needs of exceptional levels of quality leather. We hope that this site will be helpful to our valued customers and also promote our products to new markets. They started their business in 2005. They wanted to start a new business with leather products. They use different technology of leather fashion to do this business. From 2005 they don’t have any local buyer. They always do business with outsiders and export their product to the outsider. This team manages everything of the company like- product, price, communication, buyer relation etc. The report contains a broad description and analysis of the overall marketing activities of crescent leather products limited. As Training and Development, process is an indispensable part of factory and in fact for any organizations allover the world. Marketing activities and Development process is used in a factory to increase the performance and efficiency of the individuals and the factory as a whole. Readers will find useful information about the overall marketing activities of crescent leather products limited which may be a vital learning regarding the marketing activities issues regarding factory. In order to complete my BBA program, I have to complete an internship as part of my BBA program under a crescent leather products limited. I need to submit a report on my internship to get a certificate from the University.. The duration of my internship program was three months. I had to work from 9:00 am to 5:00 pm, which gave me a very good idea about the environment of the factory. I tried my best to work with sincerity with the ‘Management Trainee’ and ‘marketing department’ to get a good understanding of the overall banking operations especially in the Consumer of the factory. From my internship, I have learnt many things about the people, services and background of crescent leather products limited i feel very proud to submit my internship report on ‘Marketing activities of crescent leather products limited. Observation during the total internship period. Marketing activities with officials of crescent leather products limited. To know the marketing activities of crescent leather products limited. How they do their marketing activities to do the business. How they sell their products to the foreign country. By using marketing activities how they increase their sells to the foreign company and increase the business. To know the overall of the factory. How to do communicate with foreign buyers. How to take order from foreign buyers. Know how to promote their products. Identify how they take order. Identify how to do packaging. Identify hoe to deliver their product. Identify the distribution channel of the factory. Identify how they do pricing. Know how they produce product. Identify the overall activities of the crescent leather products limited. Some parts of the data used in the report are given on an approximate basis due to factory towards confidentiality. It also served as a major limitation. Lack of required information, which is the main obstacle I have faced to prepare this report. Time is always a constraint to prepare this report. Having a lacking in required knowledge about different situation. Another reason of insufficient information in this study is lack of information as the employees were busy. Since I carried out such a study for the first time so experience is one of the main factors that constitute the limitation of the study. All imputed from Italy, Greece and Chaina from suppliers like Atom, Paff, Molina, Bianchi, Cerim, Alfameccanica, banf, Brusita, Olympic, Untamer, Golden Wheel etc. These are the buyer list of crescent leather product ltd. They don’t have any local buyer. They sell their product to outsiders. They take order from outsiders and they produce the product and then they do export to these buyers. They also take order from buying house. They take order from local buying house and also from foreign buying house. When they take order from buyers they do communication with the buyers. They also take order from buyers. When they take any order, they must need different kind of materials from outsiders. Then they make a list of the materials to make the product. And they give order to the outsiders. Most of the materials they get from Japan. Foreign brand also give order through buying house. They give order to the buying house and then buying house offer crescent to make a product to show them that crescent can make the product or not. If they can make the similar product they give order of the products. Then crescent find which materials they need and how much they need to make this order. Crescent leather products limited always take order from these lists of the companies under different brand. They don’t take any order from local brand. Most of the time they take order from buying houses, which may be local or foreign buying house. If they take order from the buying house then the buyer of the buying house take the risk of the company. If there will be any mistake then they have to answer for the mistake. Everything related cutting of the products happen by this line. They have cutter machine. And they have different size of the cutter machine. They have also different shape of the cutter machine. For the front size they have different shape and for the back side also they have different shape. For every part of the product they have differ cutter machine through which they can cut the leather and give it a shape and the size. Through this line they switch the different part or they close the different part to give a shape. There are also different machines to close the parts. It depends on the foot wear or the hand wear that they need to switch it or close it through machine. This line used for final finishing. After doing all activities they do color, brush, and clean the product through this line. Because before delivery of any order their quality controls manager always check the products. If they find any kind of mistake they reject the product. If the number of the rejected product is more than 7 then most of the time they reject the order. Then it may create a big problem for the company. So to do a successful delivery they have to be very careful and make every product very carefully. Through this line they always try to give the order without any mistakes. Through this lasting line they try to cover the mistakes of the product. If crescent can give any order without any mistakes then the buyer will be happy and they also can order again from crescent. So its very important to give a perfect finishing. For footwear they have 18 employees. For hand wear they have 9 employees. Crescent tannery, an associate company, provides access to leather. Also can source any type finished leather. Cow, goat or sheep from any other sources both local and imported freely and without any import duties. Bangladesh has 2% of global livestock population and a very big leather export business. Can import any required shoe components from any where duty free for re-export. In-house manufacture of insoles, counters, toes stiffeners. In-house manufacture of leather outsoles and TPR, PVC two color unit molded soles. In-house sample and product development team. Diesel generators for back up power. No duty or quota for imports of Bangladesh leather products to Japan, EEC, Korea, North America. Established in 2005, Crescent leather products limited is one of the leading leather product manufacturers of Bangladesh. Since inception, crescent leather products limited has been actively contributing to national economy by way of effective utilization of resources, using raw materials, production and marketing high quality products at the most competitive prices and creating employment opportunities. Most of crescent leather product limited leather is supplied from its own ‘Crescent Tannery ltd’; this helps CLPL a lot in maintaining their product quality with most competitive price. Crescent leather products limited produce all kinds of leather footwear like men’s and ladies shoe, boot and sandal; All kind of leather hand wear like bag, wallet, belt etc. This is a 100% export oriented company. CLPL is committed to maintain uncompromising quality in the production. Generation of income which, in turn, would Assisi in improvement of the quality of life of people in terms of nutrition, literacy, standard of living and physical and social environment. “Marketing activities of Crescent Leather Product Limited” is the topic of this report. Crescent leather products limited company produce leather footwear and hand wear and then they export their products to different company of Italy, Japan, and Hong Kong etc. Most of the work of this company is marketing related. This industry use leather and produces leather footwear and hand wear and then export them to foreign company. They don’t have any local buyers. The entire buyers are foreign company or foreign buyers. At first they take order from foreign company. When CLPL take any order from foreign company at they have to make a same product to show then that CLPL can fulfill their demand. And if they can make the same product then foreign company give order and give an amount that how much product they need. After this CLPL find out that what kind of materials they need to make this order. To produce the product CLPL collect the materials from both local and foreign market. If they can’t get any material from local market they order it to the foreign market. CLPL collect their materials from Japan most of the time. They also produce leather photo frame, coin box, mobile cove, cd or DVD holder etc. An organization can adopt a number of pricing strategies. The pricing strategies are based much on what objectives the company has set itself to achieve. Where the organization sets a low price to increase sales and market share, it is the pricing technique of setting a relatively low initial entry price, often lower than the eventual market price, to attract new customers. The strategy works on the expectation that customers will switch to the new brand because of the lower price. Penetration pricing is most commonly associated with a marketing objective of increasing market share or sales volume, rather than to make profit in the short term. The organization sets an initial high price and then slowly lowers the price to make the product available to a wider market. The objective is to skim profits of the market layer by layer. Setting a price in comparison with competitors. Use competitors’ retail (or wholesale) prices as a benchmark for your own prices. Price slightly below, above or the same as your competitors, depending on your positioning strategies. Note you must collect competitor pricing information by observation rather than by asking them. Pricing different products within the same product range at different price points. An example would be a video manufacturer offering different video recorders with different features at different prices. The greater the features and the benefit obtained the greater the consumer will pay. This form of price discrimination assists the company in maximizing turnover and profits. The organization bundles a group of products at a reduced price. Other ways to reward people for larger purchases are through quantity discounts or bundling. Set the per-unit price lower when the customer purchases a quantity of five instead of one, for example. Alternately, charge less when the customer purchases a bundle or several related items at one time. Bundle overstocks with popular items to avoid a closeout. Or, bundle established items with a new product to help build awareness. This approach is used when the marketer wants the consumer to respond on an emotional, rather than rational basis. For example ‘price point perspective’ 99 cents not one dollar. The price set is high to reflect the exclusiveness of the product. An example of products using this strategy would be Harrods, first class airline services, Porsche etc. The organization sells optional extras along with the product to maximize its turnover. This strategy is used commonly within the car industry. Crescent leather products limited use product line pricing strategy for their company. At first they see that how much they have to spend for any product. Then they offer their price to the foreign company. There is no particular pricing strategy for this company. It depends on the product. How much they are spending to produce one product they offer their price. Then if the foreign buyers accept CLPL’s offer, then they accepts the order and after that they starting produce the product. The greater the features and the benefit obtained the greater the consumer will pay. Crescent also offer their price to the foreign company depend on their product quality. How much they for 1 pair shoe or 1 bag. After this they can find out that how much they need to spend for the number of order. To make a good quality product they must need to spend much. The company always tries to give a good quality product and always want to meet foreign companies want so that they can make foreign buyer happy and can keep a good impression in foreign buyers mind. That’s why Crescent leather products limited use product line pricing strategy through which they can offer their price based on the production price. To use a product line pricing strategy we will need to keep track of each product’s life cycle stage, how inter-dependent the products are when you estimate a product will leave the line, when a new product is scheduled to enter the line, and how the products in the line complement each other. All of these product line elements will affect your product line pricing strategy. Product lining is the marketing strategy of offering for sale several related products. Unlike product bundling, where several products are combined into one, lining involves offering several related products individually. A line can comprise related products of various sizes, types, colors, qualities, or prices. Line depth refers to the number of product variants in a line. Line consistency refers to how closely relate the products that make up the line are. Line vulnerability refers to the percentage of sales or profits that are derived from only a few products in the line. So we can tell that crescent leather products limited use product line pricing strategy to do their pricing strategy. Their price will be high if the production cost will be high and the quality is very good. And the price will be low if they need less money to produce the product and the quality will be normal. So the price of crescents product depend on the product line. Like- the production cost, the quality of the product and how the products in the line complement each other. North America, EU Nations, Japan, Far East Countries. In addition, starting from the year 2006, we will receive the same rights to export to China. Buyers from all of the above mentioned countries will get duty free access to their respective country. Bangladesh is capable of producing 180 million square feet of leather per year. The Bangladeshi leather remains one of quality. There exist a number of leather industries in Bangladesh far above the standard of cottage industry. More than 80% of the country’s annual production is exported throughout the world. The products manufactured can either be finished or semi-finished such as gloves, sports shoes, bags/accessories, suitcases etc. The country counts on 25 shoe industries being able to produce in large quantity and another 2500 small units throughout the country. The local leather industries export their products to 53 countries across the world, and the declared profits in 2002-2003 were $230 million. Crescent leather products limited use different machine to make the leather for the products. They have their workers to make the leather perfect for the products. This line used for final finishing. After doing all activities they do color, brush, and clean the product through this line. Because before delivery of any order their quality controls manager always check the products. If they find any kind of mistake they reject the product. If the number of the rejected product is more than 7 then most of the time they reject the order. Then it may create a big problem for the company. So to do a successful delivery they have to be very careful and make every product very carefully. Through this line they always try to give the order without any mistakes. Through this lasting line they try to cover the mistakes of the product. If crescent can give any order without any mistakes then the buyer will be happy and they also can order again from crescent. So it’s very important to give a perfect finishing. These machines are all imported from Italy. In this way workers give leather a shaper or color to make the leather perfect to make the product for the buyers. Crescent exports their products to the foreign country. 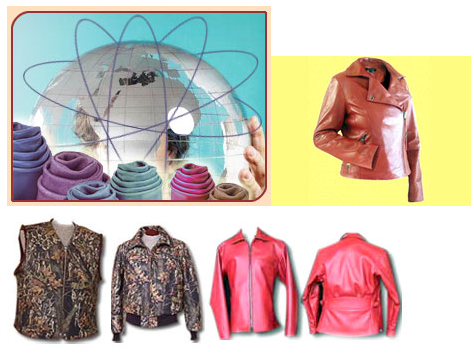 Different brands from different country import their products from crescent leather products limited. So they have their packaging system. The entire package they import from foreign country. The brands send their own packages with different size with cartoon. They send the cartoon with packages with name and size. And they also decide that how many packages will be delivering through one cartoon. Crescent leather products limited deliver the products with this system. They divided the products with the size and color. Then they package them with same package size and color. All packages have their code number through which they can find the right product that they need. Foreign buyers also give them a copy where they inform that how many products will be delivered in one cartoon. Crescent has to follow the direction of the buyer. Other wise they may cancel the order. So it is also a very important part to do packaging in a very right way. Their number one priority is commitment to satisfy our customers’ needs, and we relish the challenges that initially arise in a typically fast moving leather fashion world. We produce raw hides to finished leather to finished products. Our main source of quality finished leather is Crescent Tanneries Ltd. We care for value for money, striving for technological development and research for quality product and better packaging. That is why Crescent-Nodi have based its production and marketing philosophy on four basic principles – quality, stability, efficiency and on time delivery. That’s why crescent always follow the direction that given by the foreign buyer so that they can satisfy the buyers and take more order from the buyers. And packaging is very important to attract customers. So customers always focus on the package. CLP deliver the products with this system. They divided the products with the size and color. Then they package them with same package size and color. All packages have their code number through which they can find the right product that they need. And they do this thing in a perfect way. They need to promote their business in Bangladesh. They need to do advertising to let know people about their products. Crescent leather products limited need to make an agreement to the employees who receive training like employees cannot leave the organization within 6 months or 1 year of training. The reason is that it is found out in many cases that an employee immediately leave the organization after receiving the training which means both loss of money and time for the organization. Moreover, the employee will share his/her training learning to the new organization in order to benefit them can create a negative impact to the Training, most of the time should be done with the expert people. But often the factory uses their new employee to take the training class. Factory need to maintain proper succession plan because after training & development this employee will help them to grow, develop and sell their product, help the factory to achieve the future goals. But employees can leave the bank any time for better opportunity. That’s why factory needs to maintain proper succession planning so that they can always keep the potential and talented people in their factory. Leather Industry developed in Bangladesh on a large-scale basis from the 1970s. About 95% of leather and leather products of Bangladesh are marketed abroad, mostly in the form of crushed leather, finished leather, leather garments, and footwear. Most leather and leather goods go to Germany, Italy, France, Netherlands, Spain, Russia, Brazil, Japan, China, Singapore and Taiwan. Value addition in these exports averages 85% local and 15% foreign. About 100 modern tannery units are now in operation in the industry. These are located mostly in the Hazaribagh area of Dhaka city. In 1998, the sector exported 178 million sq ft of leather and earned $160 million. The country’s share in the world leather market is 2%. The export of finished products such as shoes, slippers, leather jackets, hand gloves, bags, purses, wallets, and belts also earn a sizeable amount of foreign exchange. The country is endowed with luxurious vegetation encouraging a large livestock population. The quality of the raw hide and skin is relatively good, as barbed wire fencing that damage the skins of animals is not used in the natural farms and fields. Black goatskin of kushtia is particularly noted for its fine grain structure and tensile strength. The tradition of humane care of domestic animals also contributes significantly to keeping the leather quality high. About 40% of the supply of hide and skin comes from animals slaughtered during the annual Muslim festival of eid-ul-azha. In addition to daily consumption of meat, festivals, Muslim weddings, and other celebrations yield a substantial supply of hide and skin. The tanning industry got a big boost following the government decision to promote more value addition in exports. The installed capacity for crust leather production increased. At present, it is double the domestic supply of raw hide and skin. Investments are also good. They started their business in 2005. They wanted to start a new business with leather products. They use different technology of leather fashion to do this business. From 2005 they don’t have any local buyer. They always do business with outsiders and export their product to the outsider. “Marketing activities of Crescent Leather Product Limited” is the topic of this report. Crescent leather products limited company produce leather footwear and hand wear and then they export their products to different company of Italy, Japan, and Hong Kong etc.